Creating an option for Catholic burials at our parish home. 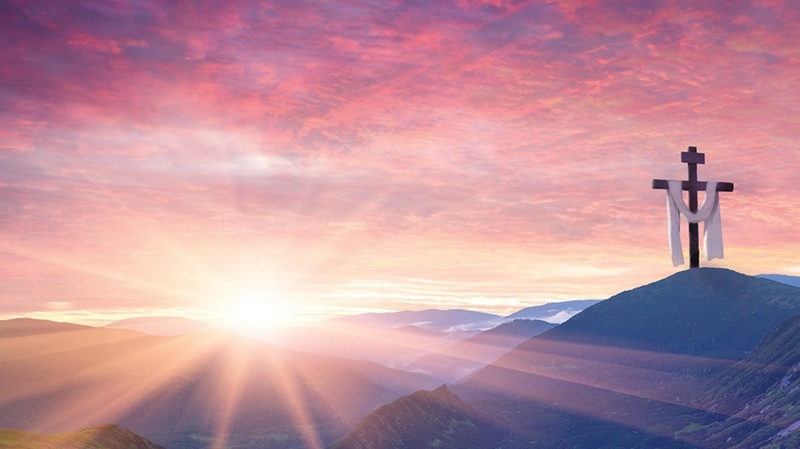 Affirms our faith that those who die in the Lord remain in communion not only with God, and all of those who have gone before us in faith, but also with the living. Is a visible sign that the church cares for its members and believes in life after death. Provides a more affordable economic inurnment as compared to other methods. Offers an easy way to make advance plans, relieving the surviving family of difficult decisions. It is theologically sound and environmentally friendly. 144 Niche columbarium is located on the southwest corner of St. Patrick Parish cemetery. 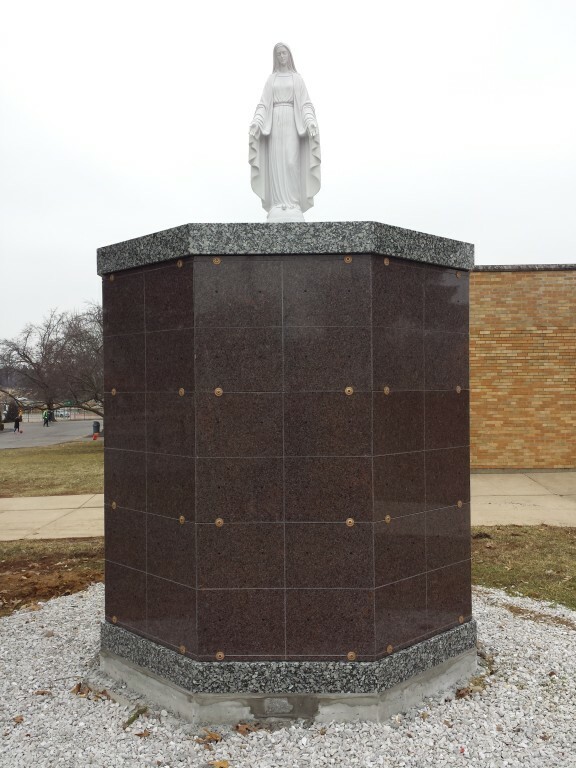 The columbarium is octagon shaped with a statue of our Blessed Mother adorning the top. There are 8 columns, 6 high that are single niches and 8 columns, 6 high with double niches that will accommodate two urns (front to back). An additional option includes purchasing two single niches, side by side with the center panel removed. Should I choose to have my body cremated? St. Patrick Columbarium is not meant to encourage cremation, but rather to provide an affordable consecrated resting place for the faithful departed on the St. Patrick grounds. Opting for cremation is a personal matter to be decided within the family. Placement of cremated remains in the St. Patrick Columbarium is handled with the greatest compassion and dignity, and at minimum expense to the family. Does cremation go against Catholic teaching? Who may be buried in the columbarium? The columbarium is intended for the interment of the cremated remains of Catholics who are entitled to Christian burial according to the rules and disciplines of the Church and the regulations of the Bishop and Pastor. Therefore registered members of our parish or of other Catholic parishes, together with a registered parishioner’s immediate family members (spouse, children, and parents, including non-Catholics) may be interred. Others may be interred at the discretion of the parish priest. Will I be able to select a particular niche? Yes. Niches are sold on a first-come, first served basis. What will the faceplates look like? For uniformity, all faceplates will be bronze plaques, 10” x 10”. Single niche will have one plaque and will include last name, first name, date of birth and date of death. Double niche will also have one plaque with space for names & dates of both deceased. The price for a single niche holding one urn is $1,500 and a double niche holding two separate urns is $2,800. The price includes the engraved faceplate, perpetual care, and all other costs associated with the Columbarium. To receive information regarding selection, pricing, and the process of inurnment of your loved one in the Columbarium, please contact Julie at 636-332-9225 x 222 or julieram@stpatsch.org. If you are ready to purchase a Columbarium niche, please make an appointment to meet with Julie at the parish office. Payment may be made in full or you may discuss payment options with Julie.